What Is a Benchmark Plan Under the ACA? In the years since the Affordable Care Act (ACA) was enacted, the term "benchmark plan" has been used extensively. But it's used to describe two very different aspects of the law's regulations, which can be confusing for consumers. Generally, context will let you determine which definition is being referenced, as long as you understand both types of benchmark plans. The plan that each state uses to define essential health benefits within that state for individual and small group plans. These are two very different concepts, but they both have the same name, which can certainly lead to confusion. Let's take a look at how each type of benchmark plan works. For people who are eligible for the ACA's premium subsidies (premium tax credits), the subsidy amounts are based on keeping the after-subsidy premium of the second-lowest-cost silver plan at a pre-determined percentage of the enrollee's income. That second-lowest-cost plan is called the benchmark plan. The benchmark plan varies from one area to another, and from one year to the next since its status as the benchmark is determined entirely by its price relative to the other silver plans available in that area. So within a state, there could be several different benchmark plans if the state has a robust insurance market that varies from one locality to another, or there might be a single plan that holds the benchmark spot throughout the state, if the state has a single insurer or multiple insurers with consistent pricing across the state. During open enrollment for individual market coverage (November 1 to December 15 in most states), consumers can see what the cost of the benchmark plan will be for the coming year. They will also see what amount—if any—the enrollee will receive in premium subsidies, based on how much the benchmark plan would cost for that enrollee, the cost of the actual plan they want to buy, and their income (and the associated percentage of their income that they'd be expected to pay for the benchmark plan; the math for that is explained here). The benchmark plan can be offered by a different insurance company from one year to the next, since insurers change their prices each year. The prices are then set for the year, so the benchmark plan in a given area will not change until the next year unless an insurer exits the market mid-year (this is rare, but it has happened—some of the ACA's CO-OPs were forced to shut down mid-year in 2015 and 2016). But for the following year, insurers' rankings on the price scale can shuffle around, as some insurers raise their rates more than others, and some even reduce their rates from one year to the next. But the takeaway point to understand is that your premium subsidy is based on the amount it would cost you to buy the benchmark plan. You can use that subsidy to buy any metal-level plan in the exchange. You don't have to buy the benchmark plan, but your premium subsidy will be the same amount, regardless of which plan you choose (your after-subsidy premium amount will vary considerably, depending on which plan you choose). The other type of benchmark plan is the reference plan in each state for determining what benefits are covered by individual and small group plans in the state. All new individual and small group plans must cover the ACA's ten essential health benefits (there is some leeway for pediatric dental/vision coverage, but the other nine essential health benefits have to be integrated into all ACA-compliant individual and small group plans). And while large group plans do not have to cover the essential health benefits, they cannot impose annual or lifetime benefit maximums on any essential health benefits that they do cover. So it's important to clarify what counts as an essential health benefit. The ACA defined them with deliberately broad strokes, keeping the outline of the ten essential health benefits to bullet points that would fit on half a page. The law also noted that the Department of Health and Human Services (HHS) would be tasked with ensuring that the coverage would be "equal to the scope of benefits provided under a typical employer plan." The largest non-Medicaid HMO plan offered in the state's commercial market. The idea was that any of those options would offer solid, robust coverage, and would be unlikely to be providing "bare bones" coverage since they were being offered to government workers or were being selected by a significant number of businesses to insure their employees. For 2014 through 2016, the benchmark plan was a plan that was offered in 2012 (since that's when states were determining their benchmark plans). Some of them had to be supplemented in order to ensure that they covered all of the EHBs, since plans were not yet required to be ACA-compliant in 2012. For 2017 through 2019, the benchmark plan is a plan that was offered in 2014. Almost all of the states have opted for small group plans as their benchmark. Specific plan details for each state's benchmark plan selection are available here. 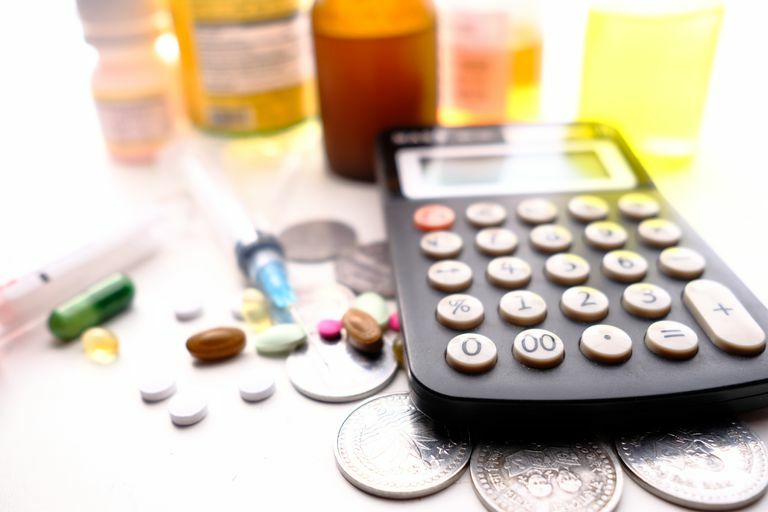 Starting in 2020, under regulations included in the 2019 Benefit and Payment Parameters, CMS is giving states more flexibility in designing their EHB benchmark plans. A state can choose to adopt another state's benchmark plan as its own, or to incorporate different segments of various states' benchmark plans to create their own hybrid benchmark plan. In addition, states can now select or design a new benchmark plan annually, instead of having to continue to use the benchmark plan that was finalized for 2017. According to CMS, Illinois has modified its benchmark plan under the new rules. The other states have thus-far opted to continue to use the benchmark plan that they used for 2017-2019. Individual market and small group plans offered in a state must include coverage that is "substantially equal" to the benefits offered by the benchmark plan that the state selected. There is continuity from one state to another, as the ACA defined the general parameters for EHBs. But the variation in state benchmark plans is why you'll see some services—like infertility treatment—covered differently from state to state, based on either mandates that apply in the state, or differences from one state's benchmark plan to another. When you hear someone talking about a benchmark plan in relation to the ACA, the context will let you determine which type of benchmark plan is being discussed. Are they talking about the second-lowest-cost silver plan offered in the individual market on the exchange, or about the plan that a given state has selected to serve as the basic benefits package on which all ACA-compliant individual and small group plans in the state are based? Once you ascertain that, the details above will help you make sense of the discussion. Centers for Medicare and Medicaid Services. Center for Consumer Information and Insurance Oversight. Essential Health Benefits Standards: Ensuring Quality, Affordable Coverage. Centers for Medicare and Medicaid Services. Center for Consumer Information and Insurance Oversight. Information on Essential Health Benefits (EHB) Benchmark Plans. Centers for Medicare and Medicaid Services. Essential Health Benefits: List of the Largest Three Small Group Products by State. April 8, 2015. House.gov. Text of the Patient Protection and Affordable Care Act. Internal Revenue Service. Revenue Procedure 2018-34. Kaiser Family Foundation. Essential Health Benefit (EHB) Benchmark Plans, 2017. Health Insurance: What is the Premium Tax Credit?